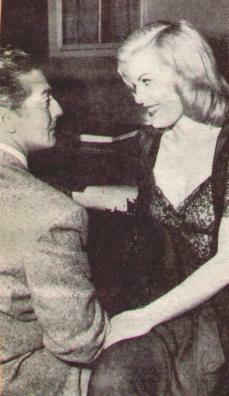 Here are great photographs of Vic and his movie leading ladies from the 1940s and 1950s. All quotes taken from the original magazines. 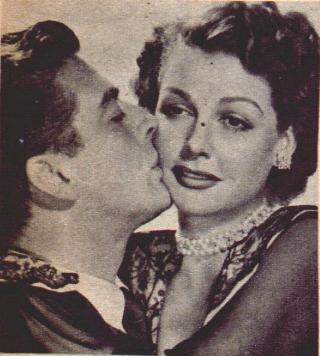 Photo 1: So gradual-like things get more cozy, as the boy puts his lips to the girl's cheek, like Vic Mature and Ann Sheridan try it in "Stella." Photo 2: The second is Vic and Carole Landis in a publicity photo for "One Million B.C." I will be adding many great photos of scenes that never made it into the movie with captions of what happened in the scenes. Photo 3: Vic Mature takes dictation from Cleo Moore during shooting of Walk Softly, Stranger. Nice work!